I have received warnings that my research can be dangerous! - Why shall it be kept a secret that human giants have existed? We have for some years now had proof that human giants have existed, but why is it so hard to learn about this? Why do the encyclopaedias still tell us that giants only are mythological fantasies and that gigantism only is a disease? And why do archaeologists warn me that my research on giants can be dangerous? Two of the world's most renowned researchers on ancient human species, Abesalom Vekua and Lee Berger, are sure that we humans have been through a period of gigantism. 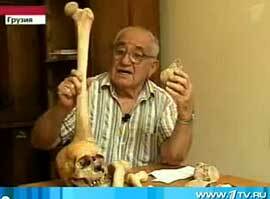 But even if they can show the fossils of giant bones this is still not accepted by the majority of the mainstream scientists - and in encyclopaedias we will read that human giants are just are myths or result of a disease. Why? Is this supposed to be a secret? Why? Give it a go - do as I did; Search Wikipedia and Encyclopædia Britannica for "giants", "human giants", "ancient giants", "giant human skeleton(s)", and "giant human bones" . You will find nothing but references to mythology. You will easily find Berger and Vekua and their findings of very ancient human species in South Africa and Georgia respectively, on simular searches. But not a word about them confirming human giants! Why? University of the Witwatersrand, Johannesburg, South Africa. He has conducted numerous expeditions as an explorer for National Geographic and he is well known for his discovery of Australopithecus sediba, a human ancestor that lived almost 2 million years ago. Professor Abesalom Vekua is a paleontologist and archeologist of the Academy of Sciences of Georgia and a leading scientific researcher of the Georgian National Museum. He is almost as famous as Lee Berger, and as Professor Berger he has found fossilized bones one of one of the oldest human ancestors: Homo erectus georgicus, 1.8 million years old. Channel One, the major broadcasting company in Russia, had a long news-report showing how a team of researchers found the giants bones of Borjomi in Georgia. In an newspaper article Vekuka is confirming that giant human remains were found: - They are mentioned as giants in the scientific literature, although this hypothesis was not confirmed, Vekua said. I have not been able to get in touch with Abesalom Vekua but Otar Baghaturia, a senior lecturer at the Georgian Technical University, was one of the members of the expedition and he has e-mailed me confirming that they found bones of giants 2,2-3 meters tall and that they were hoping to organize another expedition but that the situation in Georgia is making it difficult. or take a look at the proof. Why? It is today believed that Homo Heidelbergensis was the ancestor of Homo sapiens in Africa and the Neanderthals in Europe, and perhaps also the Denisovans in Asia - and that the species survived until 200,000 to 250,000 years ago. But most scientists believe that Homo heidelbergensis averaged about 170 cm (5ft 7in) in height and were slightly taller than Neanderthals. Well, Lee Berger is finding plenty fossilized bones of much taller individuals in South Africa and Abesalom Vekua can show us very large bones from the opposite side of the globe. Why? And why have their findings not created a stir in the media? "Near the original surface, 10 or 12 feet from the center, on the lower side, lying at full length on its back, was one of the largest skeletons discovered by the Bureau agents, the length as proved by actual measurement being between 7 and 8 feet." . In one of my other articles I show some samples of old newspaper articles telling about giant bones, mostly from the USA. Well, two other private researchers, Jim Vieira and Micah Ewers, have now managed to find more than 1500 old newspaper articles and archaeological/historical reports about the findings of giant bones! In many of them you can read that the bones were sent to the Smithsonian institution. And you can in fact read in old Smithsonian reports about the bones but if you ask the people at the Smithsonian today then they will tell you that they cannot find anything; no bones - that nothing is registered. Why? Is it like some independent researchers say: That the Smithsonian is covering up? Covering up for what or who - and why? Can it be it was like it was with Thor Heyerdahl of the Kon-Tiki fame? All the mainstream scientists strongly refuted the Norwegian's theory in 1941 that that people from South America could have sailed to the Polynesian islands in pre-historical times. Heyerdahl was very afraid of the sea as a young man but he found it necessary to prove to the scientists that primitive vessels could have crossed the Pacific; by sailing the balsa raft Kon-Tiki from Peru to the Tuamotu islands in 1947. In 1952 Heyerdahl published a book: "American Indians in the Pacific; The Theory behind the Kon Tiki Expedition". The book had over 800 pages of single-spaced print and over a thousand scholarly references, and it spelled out his ideas in detail. But most established scientists still laughed at Heyerdahl - without looking at the elaborate research he had done! Even today it seems that very few want to accept that Thor Heyerdahl was right - but he was: DNA testing of people, chicken and sweet-potatoes has shown that there must have been early connection between South America and Polynesia! 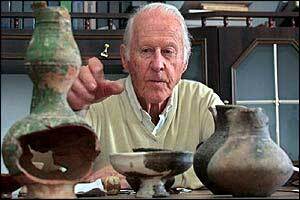 Most people have heard about Thor Heyerdahl and his Kon-Tiki expedition but not many, not even in Norway, are aware that Heyerdahl first of all was a scientist and that he lead archaeological expeditions all over the world up til he died in 2002. His main goal was to research on our cultural origins and he always had a team of well-respected archaeologists with him on his expeditions. Heyerdahl never mentioned giants, and I guess that was wise; it was a very complicated puzzle he was trying to put together and to bring in giants would have made people believe that he totally had lost his wits. Especially in a country where giants just were trolls of the fairytales! But we know that Thor Heyerdahl everywhere came across legends of white skinned and blond giants that often were called Gods - he followed them all the way from the Pacific islands to the Caucasus Mountains! Heyerdahl said that to be able to say something about the future you must know the past, and he was very afraid that our future is threatened by our use of fossil fuels: He saw dangerous climate change all over the world. He worked non-stop to find answers but today hardly anybody but me, at least not in Norway, seems to follow up his important work to find the truth of our cultural origins. Why? Yes, most people do not want to take me seriously when I tell them that my private research is about a race of tall humans. It does not help to mention the findings of Berger and Vekua: They just do not want to hear about it. "Giants belong to fairytales and mythology", is what they say - and just shakes their heads when I tell them they can see the bones of the giants with their own eyes. I can in one way understand that people do not want to believe that giants have existed and do not want to look at the proof - and I have accepted that I can be ridiculed but do I have to be afraid as well? I have received warnings that my research can be dangerous. From several people, all over the world; among them a well respected Norwegian archaeologist (that I cannot name) and artifact researcher Klaus Dona from Austria. But nobody wants to tell me why my research can be dangerous. Why? Hueyatlaco is an archeological site in the Valsequillo Basin near the city of Puebla in Mexico. After excavations in the 1960s, the site became notorious due to geochronologists' analyses that indicated human habitation at Hueyatlaco was dated to ca. 250,000 years before the present. The scientific consensus for habitation of the New World is 13,000 to 16,000 years before present. The site was discovered by Juan Armenta Camacho and Cynthia Irwin-Williams, and later further work was done by Virginia Steen-McIntyre. When the findings were dated to be incredible old, the research teams were harassed and viewed as incompetent - and the researches saw their careers hampered. Steen-McIntyre was refused permission to further research and eventually the site was claimed prohibited for excavations by the authorities. Even today it seems that we are not supposed to hear about the Valsequillo artefacts (including an engraved "green" mastodon bone!) and the old date - even if peer-reviewed analyses has confirmed the earlier findings of ca. 250,000 - the latest in 2006. The Petralona cave is located in about 35 km southeast of Thessaloniki and on the west side of Mount Katsika in Greece. In 1959 a shepherd came across a small opening to a cave and a human skull embedded in the wall was found (later research also uncovered a huge number of fossils including pre-human species, animal hair, fossilized wood, and stone and bone tools). Where the 'First Americans European? Who Brought The Mayans To Mexico? discovered in Europe. 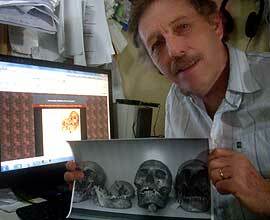 His research showed that the Petralona man evolved separately in Europe and was not an ancestor of a species that came out of Africa. This created problems. German researchers tried to dismiss Dr Poulianos' findings, arguing that the skull was only 50,000 years old and was indeed an ancestor that came from Africa. However, research published in the US in 1971 in the prestigious Archaeology magazine, backed up the findings that the skull was indeed 700,000 years old. Dr Poulianos was stopped from further work in the cave without any explanation and he and his wife were physically attacked and injured in their home. He was also verbally abused when attempting to give an invited presentation to teachers and school children. So there seems to be some uncertainty about our distant past - and that this seems to cause some problems for the people researching our origins. "Forbidden Archaeology" is a 1993-book by Michael A. Cremo and Richard L. Thompson. Cremo is claiming that the book has "over 900 pages of well-documented evidence suggesting that modern man did not evolve from ape man, but instead has co-existed with apes for millions of years!". He also writes that the scientific establishment has suppressed the fossil evidence of extreme human antiquity. I guess that the mainstream archaeologists are having a good sarcastically laugh of Cremo's claims, most probably without reading the book and take a look at the evidence he is presenting, but should they behave like this? Is not science about of pursuing knowledge, not only the knowledge itself? The so called "Ica stones" is a collection of andesite stones with depictions of dinosaurs and what supposedly is illustrating advanced technology. The mainstream scientists claim that the Ica-stones are fake and the main argument is of course that humans did not co-exist with dinosaurs. A doctor named Javier Cabrera Darquea collected the stones from the 1960s and he obtained many of them from a farmer named Basilio Uschuya. Uschuya admitted at one stage to creating the carvings he had sold but later recanted this, saying that he had claimed they were a hoax to avoid imprisonment for selling archaeological artifacts. In July of 1944 a man named Waldemar Julsrud (said to be a German, but the family-name is Norwegian) came upon some artefacts near Acambaro, Guanajuato in Mexico: the so-called "Acambaro Figurines". These small figurines depicted all types of creatures but many of them were dinosaurs. A local farmer helped him to find more and they found 32.000 of them! Among the figurines were also images of Egyptians and Sumerians. Most scientists believe that the Acambaro figurines are not genuine, and one of the reasons are the huge number of figurines found. Another argument is, of course, that no humans have ever seen a dinosaur; they died out long before homo sapiens came to existence. Well, thermoluminescence testing has shown that the figurines are about 4500 years old. The question is then: How could somebody make a figurine depicting a dinosaur, when fossil records of dinosaurs did not exist? On the walls of the Ta Prohm temple near Angkor Wat in Cambodia there are hundreds of carvings of familiar animals like deer, parrots, monkeys and water buffaloes. But one of the carvings seems to be of a Stegosaurus dinosaur! Again; the main stream scientists say that this is a hoax or that the depiction does not show a dinosaur. But research has shown that the carved figure is old - and it definitely looks like a Stegosaurus! What if the Ica-stones, Acambaro figurines and the Cambodian temple dinosaurs in fact are real artefacts and not hoaxes? What if the Hueyatlaco and Petralona findings are dated correct? What if we homo sapiens sapiens are much older than 200.000 years, when it is believed that the first modern man evolved in Africa? Or what if we have had other and much older homo species on Earth able of making depictions of dinosaurs? Can it be that what we have learned about our origins is very wrong? DNA-testing has started to change a lot - so has new findings. 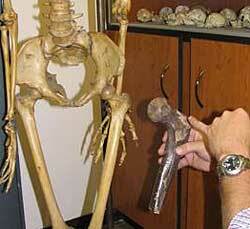 New theories about the first human species are presented all the time. We learn about new species of homo that seems to have lived together with, and interbred with, our own strain. One of them were the Denisova hominins. Even if we still do not know how they looked and how tall they were; it is a fact that the tooth found in the Denisova cave is the largest homo molar ever found. It was in fact so big that the archaeologists first believed it was a tooth of an extinct cave bear! we were the dumbest in the class! Did the interbreeding with us make the other species extinct? Lee Berger says that there has been found a lot of fossilized bones of giants in South Africa but that we are talking about 300.000 years ago. What if they did not slowly die out as is believed (might be because of the lust of our own species); what if they lived on Earth for thousands and thousands of years? There are lot of samples of advanced technology from a distant past all over the globe: Ancient buildings, wall, structures and smaller objects that should have been impossible to make with the tool and knowledge that the humans were supposed to have at the time: Pyramids and temples with huge blocks of stone positioned so finely together that you can not push a piece of paper in between them. Statues, and obelisks, even menhirs, so large and heavy that it should have been impossible to move and raise them. Dolmen with enormous boulders placed on top of standing stones. But craftsmen of today might be even more in awe over some of the smaller objects, like the jars in the museum in Cairo: Made of basalt or granite they are fully hollowed with narrow openings, and some even have long necks. To produce such a jar in clay would be very impressive - in granite or basalt it is incredible. Yes, it is safe to say that the techniques used to produce these jars has yet to be replicated! There are holes drilled in pyramids and temples at Giza, and not only are the holes drilled to perfection in granite and basalt but some of the holes have even been enlarged in ancient times using a core drill! A core drill bit is usually made of a hollow steel tube, and for drilling in basalt or granite the end of the steel ring is studded with industry diamonds. To try to drill in such hard rock without such a modern tool would be an exercise in futility! And the ancient Egyptians were supposed to have used soft copper tools, stone and sand! You will find the same incredible drilling in very hard stone done in ancient times other places - like in the ruins of Puma Punka in South America. So who were behind the advanced technology all over the world in ancient times? Who managed to move gigantic stones from far away and placed with incredible precision in megalithic structures, who made delicate jars of granite and drilled tiny holes in basalt; feats that it would be hard to replicate today? The mainstream archaeologists say it was the forefathers of the people living on these places today. Well, when the first explorers asked the natives, they just shrugged their shoulders and said that they did not know. It was done in a very distant past - of a race of giants that lived before them. Myth and legends all over the world tell that giants have lived on our planet. Yes this was also the common belief among the scientists before Charles Darwin in 1859 presented his theory saying that natural selection was the cause of evolution: Humans had evolved from apes. The giants of the Bible were suddenly nothing but theology, and the legends all over world just fiction. Well; there is still a fierce debate between the creationists and evolutionists - and archaeological findings and DNA-testing is bringing questions to the accepted theory of human evolution. Let us take a brief look at the ancient people of Mexico, like the Aztec; they believed that the present world was preceded of four cycles of creation and destruction. In the first cycle, first "Sun", the people were giants. They were also gods, and rivalry made one of them knock the sun out of the sky so the world became totally black, and all the people were eaten by jaguars. At the start of the second period the gods created a new group of people, this time they were of normal size. But they grew less and less civilized and stopped honouring the gods. One god then turned the people into monkeys, and sent a mighty hurricane that blew them from the face of the Earth. New people was created but in this period a great drought swept the world. The people's prayers for rain annoyed the god that had created them and in a fit of rage he sent a great downpour of fire, and it continued to rain fire until the entire Earth had burned away. The gods had to make a new Earth from the ashes but it did not go better this time either; the wife of one of the gods sent a horrific flood that drowned everyone on Earth. One of the gods who would not accept the destruction of the people went to the underworld where he stole their bones from another god and he then dipped these bones in his own blood to resurrect the people to the current period. You will find simular legends telling about different periods for the human race many places in the world and often the people are eradicated to almost the last man. Very common is that one of the periods was ended by a world wide flood because the people made the gods angry; most famous is of course the story of Noah from the Christian bible. So what are the chances that the people of the Earth have gone under to almost the last man one or several times? Well, several researchers and scientists now seem to agree that we have had gigantic catastrophes in the past. And that comets hitting the our planet being the culprits. There is physical evidence for an impact around 10,900 BC, and also 7600, 4400, 3150, 2345, 1628, 1159 and 207 BC - and also 536 and 11768 CE. Several of these dates correspond well with the legends about catastrophes. But there also might be other explanations to the catastrophes. Robert M Schoch, famous for dating the Great Sphinx to a much older date than previously believed, is now researching if solar activity could have played an important part; If extra strong solar activity, like under a solar maximum where the sun's magnetic fields/poles are changing positions, might have sent gigantic solar storms our way in a distant past. Yes, he asks if solar outburst could have created powerful plasma phenomena that caused strong electrical discharges that hit Earth, burning and incinerating materials on our planets surface, melting glaciers and cause water to evaporate and then precipitate as torrential rain. That the melting of ice sheets kilometres thick would release pressure on the crust and cause catastrophic earthquakes and volcanic activity around the globe. Schoch says that the best way to escape the massive solar busts would be to go underground - and he asks if the ancient underground cites around the world (like Cappadicia in Turkey), many of them little researched, were shelters from solar storm. Well, then we also can ask if many of the ancient megalithic wall and buildings were built of the same reason; to protect against major catastrophes. Like tsunamis, earthquakes - and even solar storms! Is this the reason that the walls like those in Peru were built with interlocking stones to be earthquake proof? And are gigantic stones made in a kind of "pillow" shape to have groves where to place waterproofing material (like a kind of putty)? Did the surviving "gods" with the help of the people rebuilt the megalithic walls and buildings after the catastrophe, and tried to make new ones with varying results, to be prepared for the next time? We can read, as earlier explained, in archaeological documents that bones of very large humans were found in many of the so called Indian mounds of North America. In what obviously were the oldest mounds the skeletons crumbled to dust but in some of the "crypts" inside the mounds they found skeletons sitting upright on benches around a fireplace. With food on the table. It is hard to believe that this was an old, Indian ritual. Is it not more natural to ask if they were trying to survive a catastrophe? That they were buried alive in a desperate hope of surviving? We find the same believe many places in the world; that people were buried with food, servants, horses and other goods to have a good time in afterlife. But is this the correct explanation? Why did the pharaoh Djoser, by the hjelp of the long-skulled vizier Imhotep, in addition to the Step Pyramid at Saqqara also make several large stone-buildings to store massive amounts of seeds like wheat, barley, grape, tomato and figs? 40.000 storage vessels have been found so far. Would he need such a large amount of seeds in a theological heaven? And the "boat pits" at the Giza complex, would a pharaoh need a fully working boat to row to heaven - or did he prepare for another devasting flood? Is it not strange that civilisation on Earth according to the books developed so fast? It is almost like fantastic buildings appeared almost out of nowhere. How and why did people that were gatherers and hunters suddenly start to build in massive stone? Did they not have more than enough to learn how to do their agriculture? If building in stone was an important part of civilisation - why is nobody doing it today? The logical answer is that it was not the local people that built the pyramids, temples and walls: They explained to the explorers that it was the gods that have built the fantastic structures - gods that also were giants. Often they were survivors after a gigantic catastrophe. elements from older structures! Why? All over the world it lookes like what we call civilization started around 3000 BC, with impressive buildings made of stone. Well, that is what the scientist said a few years ago. Now the ruins of Göbekli Tepe in Turkey have forced the scientists to accept an earlier date of about 10.000 - or even 12.000 BC. But why was Göbekli Tepe buried after completion - and why did statues found there look like ancient statues on Easter Island, with no legs and hands on the stomac? What's next - what other mysteries will we not hear about? Why do we not learn about the fact that giants have existed? Why are there so many unanswered questions about our distant past? Why are private researchers like me been told that the research can be dangerous? Are we not supposed to know the truth? Yes, it is a big job to change the history books all over the world - to rewrite and reprint them. But we need get it correct, we cannot just accept that what we have learned is wrong? Is it just a practical problem that stops us from learning the truth about our earliest history? Or shall we not hear about giants because of Darwin's theory of evolution? Why not? Might be we just need to upgrade it? Let creationists and evolutionists do the job, make them work together with open minds and study the latest research. Our past might be different to what both parties have believed but so what? Well, it might be hard to accept and understand that the gods that walked together with people on Earth might have been tall, blond giants but somebody or something must have created them as well - or? Some say that the gods came from outer space to create us but I believe that we do not need to leave Earth to find the answers. To look for aliens will only create more problems - for who created them, if they are out there? Or is the major problem that it might not have been us humans, homo sapiens sapiens, that built all the impressive megalithic structures that we find all around the world. Might be it was another race of humans, the giants? That might be hard to swallow for somebody. But we need to know the truth about past to say something about our future - and we need the answers more than ever! Agree? And thank you for an interesting article about weird secrecy and censorship related with giants. After studying Sumerian and Ancient Egyptian identities, languages and cultures I wrote a book "Me Habirut Mahabharata Part I", in which I detail history of these people and it goes very far in history, even to the earliest stages of the Earth. There is an immense cover up, not only about giants, but also about real language spoken by these people. Sumerian were Finno-Ugric people, original Mari people of the haplogroup R1a. Later N1c is quite recent among Finno-Ugric R1a and Finnish people. This is very censored in Finland too. However, Sumerian records tell about Anunnaki, gods who came from heaven (space) and developed humans for simple labour to work in mines and agriculture. However, there was also an other line "descendants" or Pirus. Nipiru (Nibiru), the famous Sumerian city was also named after "Pirus". These Pirus, Habirus became known later as Aryans and Norwegian R1a derives also from these Pirus, Vikings being originally Pirus as well. Vans were the same as Hari Vamsa in Vedic India and Gatha (Katti) became known as Goths. These people spoke Finno-Aryan language, which is falsely named as "Indo-Aryan". This is also a subject of great censorhip, despite of numerous linguists having conclusions about Sumerian being Finno-Ugric language. These ancient Aryan Habirus were real "Hebrews", not ancestors of modern Jews and this is one reason why they censor everything related to Habirus, Aryan and Sumerian language and Ancient Egyptian language, which was Finno- Aryan language and related to Sumerian language. All the ancient Egyptian names are false, corrupted forms of the original. You probably know, that there are for example car tracks in Malta and in South America, petrified in bedrock millions of years old. There are hundreds of evidences of intelligent life even petrified in the Proterozoic bedrock. In South Africa, there are traces of electrical or similar systems, wires recognizable in the Google map and so on. Sounds unbelievable, but this is very true. Incredible Petrified Alien Fossils and Other Alien Remains in Namaqualand, South Africa. Remnants of the Giant God Osiris in a Secret South African Site!! Please, just look at the videos, and you`ll understand that NOTHING is as it is told at schools and universities! And I have only presented creatures discovered in a Google map. There may be some aeromagnetic maps of the Finnish Geospatial Survey, but they show similar thing. This is really unbelievable, but reality. I find your site very interesting because of the research that my team and iconduct. The evidence of giant people in the past is true and these were not aliens or some wierd angel type mating with humans. 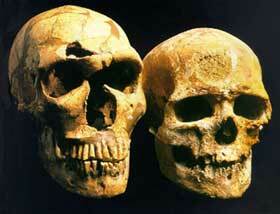 These were the original humans and if anyone cares to study truth they will find the stood around 26 feet tall. It is only through degeneration over several years that man arrived at the height he is today. For those that are interested they will find that these humans were far in advance of present technology and as mentioned 3800 years ago a terrible nuclear war almost destroyed sll life on earth. The planet between mars and jupitet was destroyed and the asteroids caused the extinction of dinosaurs and mega fauna and the nuclear winter was here. Not all dinosaurs were killed out as the team has found aeveral types alive and well. The evidence is available just the majority of scientists today would loose their funds if the truth were known. There were giants on the Earth, men...created but evil was present. Some giants fought evil as good men do. God has a remmnant few who flee evil at these bad times...but evil is present in the world for now and evil will succomb to the everlasting Father in his good time...like a Father to his own creation. A remnant few will survive and live forever. The past is hidden from man until the future when the Father will reveal all. Hi, I forgot to say also that in my opinion those giants are not only from the Bigfoot family sighting around the US but that they could have been planted here from aliens visiting this earth thousand of years ago. Or even today. They may be harry and scary but they did not get this far by not having some smarts. Maybe more then the trappers who try to capture them...its like animals they can smell and hear prey miles off. Or they could be part human hybrids sent here from the Aliens who visit this planet. You may have heard this opinion before or thought it yourself, I'm sure. But thanks for letting me share with you my thoughts. Its always nice to think out of the box and to be able to share it with some one. The "institution", the powers-that-be; do not want to hear (or anyone else to hear) anything which would disrupt / disprove the already shaky theory of macro evolution. It is presented as fact in the education sector and that's how they want it to stay, but why? well, the answer is simple, because they want to disprove any idea or possibility of a creator. This is the truth and the heart of the matter. Science, per se has very little to do with it, you have 2 sides who wish to keep history under control for very different reasons. Firstly, one side does not want to accept that there is a creator God, because with that belief comes accountability and their level of self-indulgent pride cannot allow that. Secondly, maybe a little harder to believe, especially for people who fit into the first category is that the Luciferian controlled media definitely don't want that kind of information getting out for obvious reasons. What I don't understand is that it seems that a lot of "indian" burial mounds contain these giants, in the Americas. Couldn't we settle this just by finding a burial mound and digging it up? And the smithsonian thing is also interesting; it seems they have been sent many examples of these large people, yet they claim nothing. Why would they do this? Come on with your thoughts, folks!